Can I just first say that I’ve been DYING for this book for a whole long year? Ever since I read its predecessor, To All the Boys I’ve Loved Before, which mind you is THE book that got me into writing reviews, I was absolutely ecstatic to hear that there was going to be a second book. Could my life have gotten any better? was the question that flowed through my mind at that point. And that is where all my hopes and expectations fell. It literally hurts to write this review which is less than the 5 stars I was expecting. Where shall I begin? It was just SO slow. For a good first half of the book, nothing REALLY happened. Yes, Lara Jean was enjoying her newfound relationship with Peter (my heart was screaming YES! ’cause I absolutely adore him…but I’ll get to him later). Everything wasn’t hunky dory or anything. It wasn’t THAT bland. That beautiful hot tub scene from the end of To All the Boys I’ve Loved Before? Do you remember that? Well. Let’s just say, it’s become a publicized meme around the school. I know, heartbreaking right? So Lara Jean is fretting and embarrassed. Her sisters are equally helping her deal with it in their particular ways. But it truly was not worth half a book to focus on. Yes, Peter showed off his gallant side (*happy sigh*), but even that didn’t entertain me for long enough. The writing style also seemed so disjointed. Some chapters were so short. It was literally one event, and then you jump to the next event which could be a day or whatever later. And then onto the next event in the next chapter. 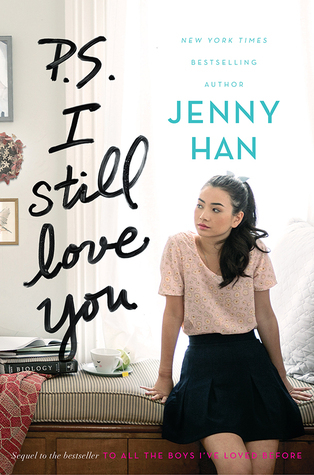 There wasn’t a whole lot of flow, like Jenny Han was sticking short constructed pieces together. 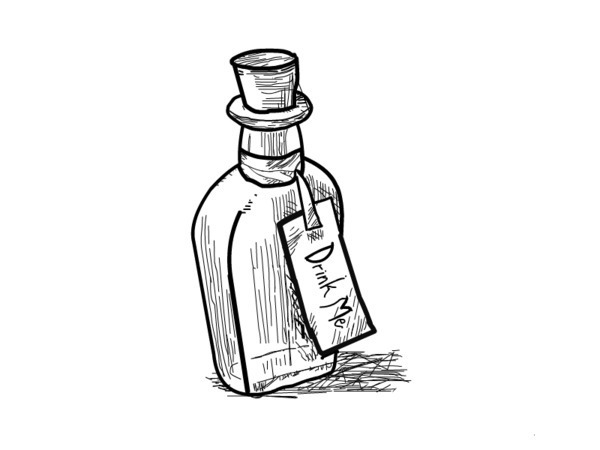 It wasn’t the most enjoyable format, especially when things were already going quite slow substance-wise. I like that she’s still her unique self, being half Korean and all. Jenny Han is still amazing at integrating such cultural aspects into the story. But I was just SO annoyed with Lara Jean in this book. She was too jealous and mistrustful of Peter’s friendship with his ex. Mind you, I don’t particularly like her either. She’s truly a dog (and I mean that in a not-so-nice way). But to be wrought with jealousy to the point that she would mistrust Peter’s intentions wasn’t pleasant to see unfold. And then there was John. The other guy that the synopsis hinted at. I don’t understand why Jenny Han had to bring him back. Was there really nothing else to give this story substance? Okay, maybe the answer is yes, considering the first half wasn’t all that great with substance either. But still. He felt so unnecessary. Please. A random love triangle thrown into the middle of the SECOND novel? It was already a little weird with the neighbour/good friend Josh in the last novel, but I actually liked him more because he was someone Lara Jean knew. John just kind of…popped up. She may have known him in the past, but I, as the reader, sure as heck don’t give a crap about him. He wasn’t MY past crush. I admit I may be a teensy bit biased ’cause I love Peter, but still. My reasoning is sound. Lara Jean shouldn’t have tried to get herself to rekindle such feelings for John when in reality, I felt she was never quite over Peter. That leaves me with the characters I did still enjoy, even with minor irritants. Margot, Lara Jean’s older sister, seems to have forgiven her for the uh, minor problem with Josh (Margot’s ex and one of the crushes). However, things are NOT la-la land for Margot & Josh. I was a bit sad. I don’t know. I didn’t love them as a couple even in the previous book, but to me, if they weren’t with each other, it just felt weird seeing them with different people. Kitty, the younger Song sister, was as wild as ever. I’ve always had such a strange liking for her. I wouldn’t exactly want such a manipulative yet still adorable younger sister in real life, but I can’t help but like her. I love that both sisters are so unique and made in a way that both complements Lara Jean as well as showcases what a sisterly relationship looks like. It’s not always perfect, and there may be HUGE differences between the girls, but they have each others’ backs at the end of the day. The Song girls united. I loved that. Oh, and that brings me to Peter. Ah, Peter Kavinsky. First, I’d like to mention that I missed seeing Josh in this novel. He was rather big in the previous one, and he just wasn’t relevant I suppose in the sequel, considering Lara Jean got over him and what not. Still. I missed his presence as the good family friend he was. I suppose it was realistic. Not everything can go back to the way things were after relationships get complicated. Okay, back to PETER. He made my day in the story. I was so tired of reading it. That breaks my heart to say. I SO, SO hoped it would have been a fun read. I even bought it on the very first day it came out. But seeing Peter’s actions and dialogue, I think this novel showcased his personality really well. We got to see the better side of him in To All the Boys I’ve Loved Before, but as a boyfriend? That was something new. He may be a lot of imperfect things, but he tried his best for Lara Jean. I may have despised what she did to him, but I appreciated how the author handled their relationship in the end. It wasn’t as open ended as the previous book, but it gives a lot of hope and a wonderful message. Relationships aren’t going to be easy, and people may even get really hurt. But at the end of the day, it’s worth jumping into. What’s one of my favourite sayings? It’s better to have loved and lost than to have never loved at all. It’s pretty applicable here. I wish I could say the good outweighed the bad, but I couldn’t handle this book. It may have been my HUGELY escalated expectations, but I think it just didn’t hold the kind of substance I look for in a novel. I’m quite saddened to say I’m rather disappointed. I waited forever, or so it seems, for P.S. I Still Love You. I absolutely ADORED To All the Boys I’ve Loved Before that I thought Jenny Han could do no wrong when it came to a sequel that had my very favourite people in it. She has a way with making her characters come alive. From the Song sisters to Lara Jean herself, there is the cultural aspect of being half-Korean and holding onto that heritage, while still giving each girl a very distinct personality. I also hold Peter K to the highest regard when it comes to male protagonists. That being said, with such love comes high expectations, and occasionally, a great fall into disappointment. I’m sad to say that the plot was extremely slow and held far too little substance. The focal points were unnecessary and rather childish in my opinion. So with a saddened heart, I must say that I recommend enjoying the first book and maybe only reading this if you must see how Peter and Lara Jean’s relationship unfolds (and refolds ’cause it’s complicated and messy that way).